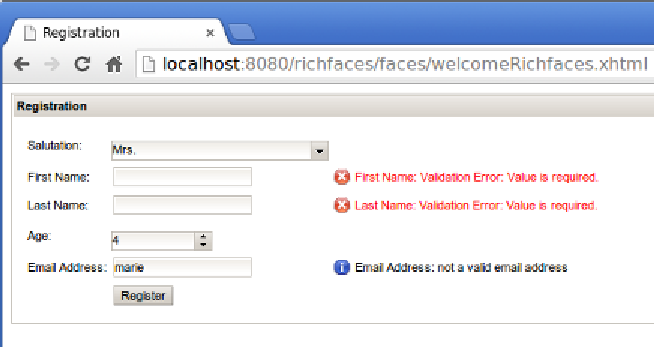 information on RichFaces, refer to the RichFaces documentation at http://www. component libraries: PrimeFaces, ICEfaces, and RichFaces. to develop JSF applications using the ICEfaces and RichFaces component libraries. use as a starting point for our PrimeFaces, ICEfaces, or RichFaces applications.